On the occasion of Earth Day, April 23, highway clean up action was held under the campaign "Clean Up Georgia" in Tetrjolamunicipality, organized byTetrjolaregional coordinator of the Greens Movement of Georgia. On the occasion of Earth Day, clean up action was held under the campaign "Clean Up Georgia" in town Tskaltubo, organized byTskaltuboregional coordinator of the Greens Movement of Georgia. 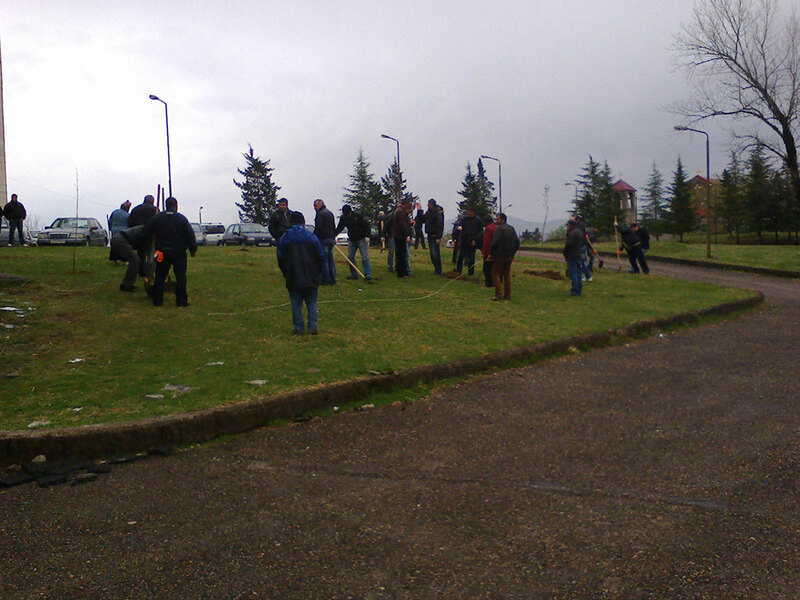 On the occasion of Earth Day, April 22, large-scale clean up action was held under the campaign "Clean Up Georgia" in Sagarejo municipality, organized by Sagarejoregional coordinator of the Greens Movement of Georgia and with participation of employees of Sagarejo municipality. On the occasion of Earth Day, April 22, large-scale clean up action was held under the campaign "Clean Up Georgia" in Borjomi municipality, organized by Borjomiregional coordinator of the Greens Movement of Georgia. April 22, "Earth Day" in municipalities of Zemo-Svaneti region has been marked with various activities within the framework of "Clean Up Georgia"campaign , organized by Zemo-Svaneti regional coordinator of Greens Movement of Georgia. On the occasion of Earth Day, April 22, clean up action was held under the campaign "Clean Up Georgia" in Tbilisi Sea surrounding area, organized by GMG/ FoE Georgia. 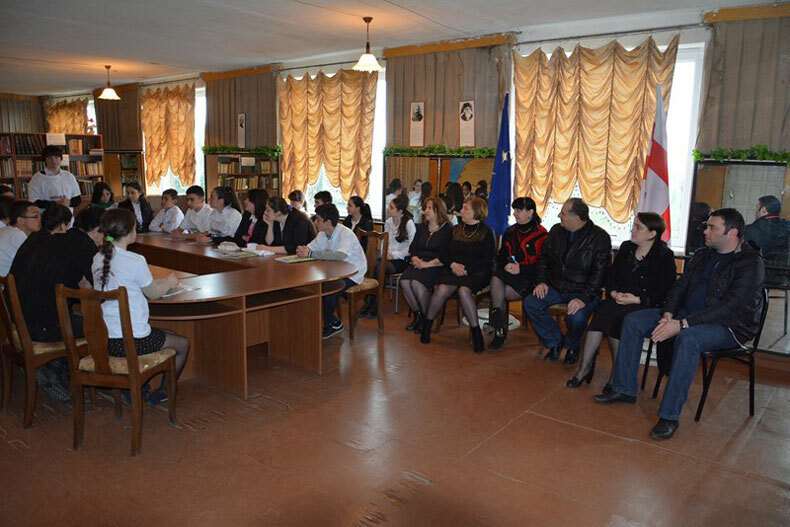 Students of Ilia State University and representatives of the Department of Environmental Protection of Abkhazia took part in the event together with the organizers. 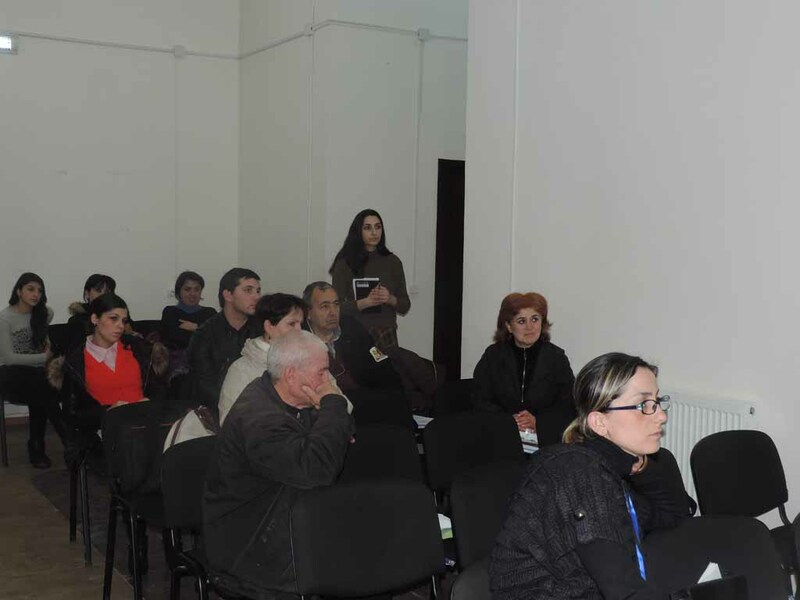 On March 26, 2015, in the framework of the project “Clean Up Georgia – Raising of Public Awareness and Involvement in Solid Waste Management Improvement ” (Phase II), Georgian Society of Nature Explorers “Orchis” arranged a Meeting in Shida Kartli Region (Gori city) with the participation of Deputy Governor of Shida Kartli, Deputy Mayor of Gori city, Chairmen and heads of local governance bodies of the Gori, Kaspi, Kareli, Khashuri municipalities and the city of Gori, their deputies, representatives of Center of Democratic Involvement, media and others. 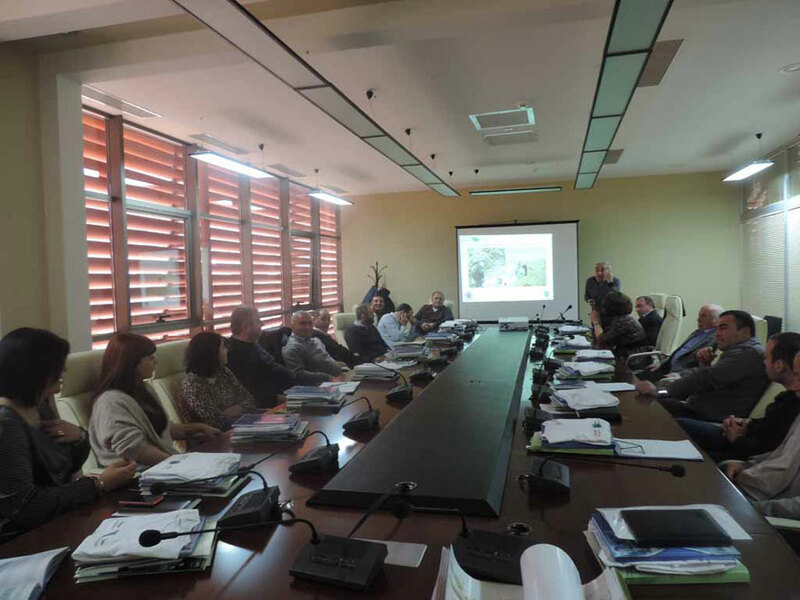 On March 17, 2015, in the framework of the project “Clean Up Georgia – Raising of Public Awareness and Involvement in Solid Waste Management Improvement ” (Phase II), Georgian Society of Nature Explorers “Orchis” arranged a Meeting in Marneuli Municipality with the participation of the representatives of Marneuli Administration (Gamgeoba), non-governmental organizations, Center of Democratic Involvement, media and other representatives of the society. 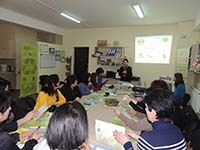 On March 22, 2015, in the framework of the project “Clean Up Georgia – Raising of Public Awareness and Involvement in Solid Waste Management Improvement” (Phase II), was arranged the training for public and private schools teachers by ECOVISION – The Union for Sustainable Development. The aim of the meeting was to raise public awareness of teachers in the field of solid domestic waste management. The teachers were provided with comprehensive information about the latest technologies and best practices of sustainable waste management. 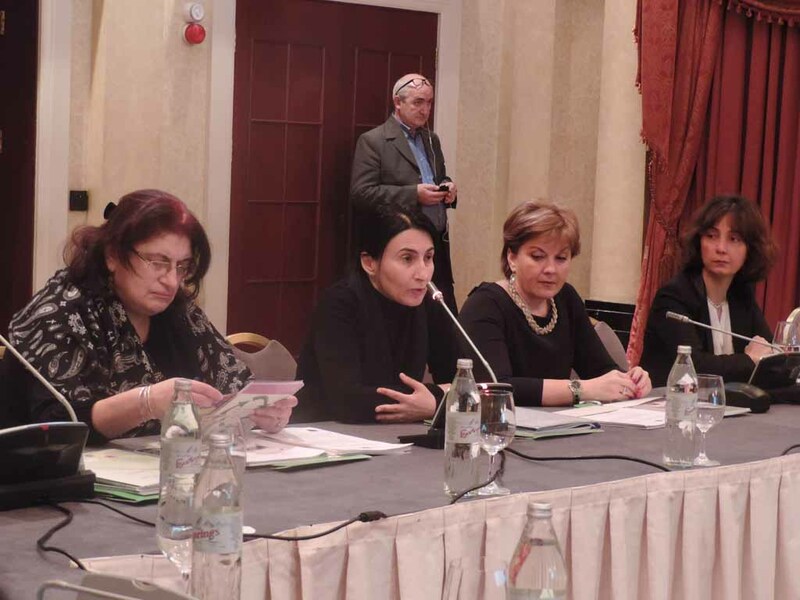 There was also a discussion on issues related to waste problems in schools. 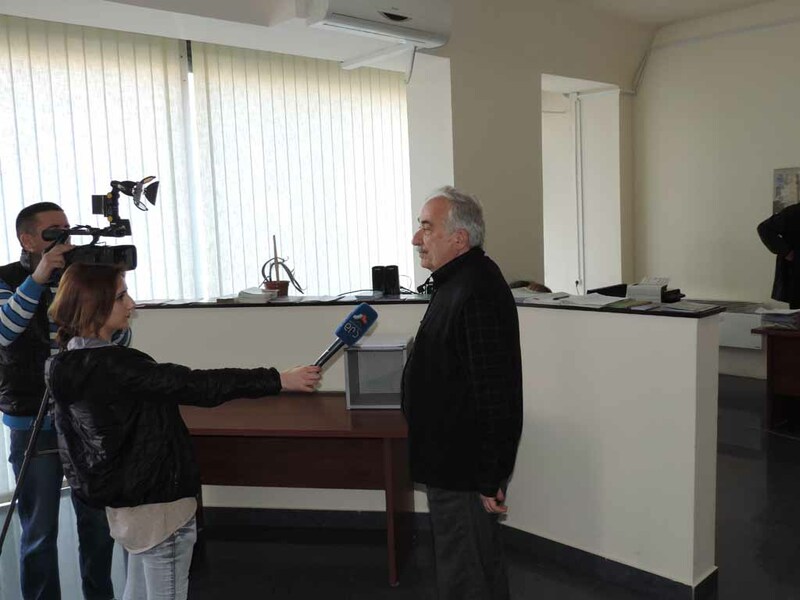 On March 13, 2015, in the framework of the project “Clean Up Georgia – Raising of Public Awareness and Involvement in Solid Waste Management Improvement ” (Phase II), Georgian Society of Nature Explorers “Orchis” arranged a Meeting in Kakheti Region (Telavi city) with the participation of Deputy Governor of Kakheti, Deputy Mayors of Telavi city, Chairmen of the Telavi city, Akhmeta, Signagi, Gurjaani, Kvareli, Dedoplistskaro, Lagodekhi, Sagarejo municipalities Sakrebulo (Council) and their deputies, Deputies of Administrators, heads of Services, representatives of Companies of Limited Liabilities and others. 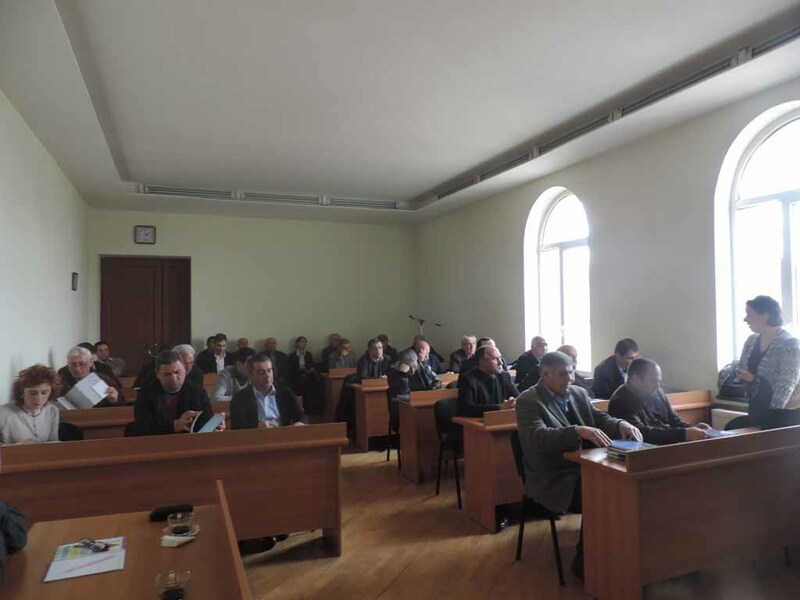 On March 11, 2015, in the framework of the project “Clean Up Georgia – Raising of Public Awareness and Involvement in Solid Waste Management Improvement ” (Phase II), Georgian Society of Nature Explorers “Orchis” arranged a Meeting in Mtskheta-Mtianeti region (Mtskheta city) with the participation of the Deputy Governors of Mtskheta-Mtianeti, Chairmen and heads of local governance bodies of the Mtskheta, Tianeti, Kazbegi, Akhalgori municipalities and the city of Mtskheta, their deputies, representatives of companies of limited responsibilities, Legal Entities of Public Law and others. 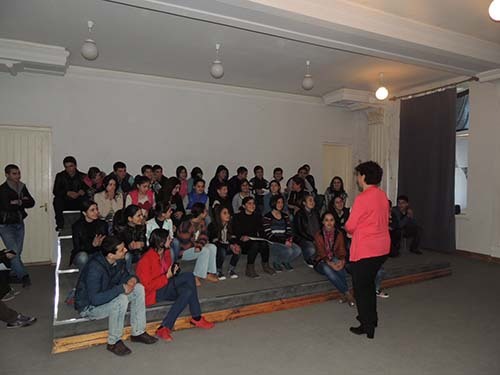 2015-03-18 Videos made during campaign "Clean up Georgia"
On December 30, 2014, in the framework of the project “Clean Up Georgia – Raising of Public Awareness and Involvement in Solid Waste Management Improvement ” (Phase II), Georgian Society of Nature Explorers “Orchis” arranged a Meeting in “Tbilisi-Marriott” Hotel which was attended by Deputy Mayor of Tbilisi Municipality, regional governors, Director of Solid Waste Management Company, representatives of Tbilisi city Council, Embassy of Sweden, National Environment Agency, Technical University of Georgia, Medical Ecological Association, LTDs, NGOs, media and others.